On this page you can find a list of all the Skype emoticon country flags. Even though we could considered them hidden emoticons, I decided to list them here on a separate page. They just take up so much space and are rarely used (I assume). In order to use these flags you have to send their code as a chat message. For example for the USA flag you have to send (flag:US). 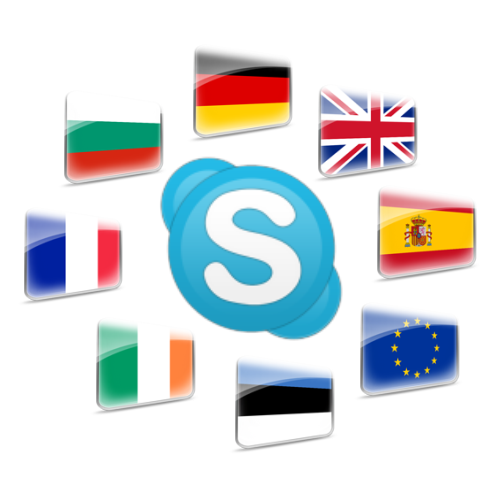 So if you want to save a list with all the Skype flags, you can just bookmark this page. Don't forget to also check out all the other emoticons. I really love this. Thank you sooo much. Are there anymore hidden emoticons? Please reply thanks! You should get a job on Skype, you’re like a Skype master! You’re pages are sooooooo messed up…this and the emoticons page…wrong pictures everywhere! Hi. What do you mean? If I understand correctly, this could be caused by an old browser. Can you make a screenshot, upload it to a free upload picture site and send me the address to see? Also what browser and what version do you use? Hard to believe that the following countries have been omitted: England, Scotland, Wales. There is no more a country called the ‘UK’ or ‘GB’ than there is a country called ‘EU’. I am English, not UKish or GBish. So I don’t know if it has a two letter country code. They would have to break away from the standard ISO country codes i.e. P.S. Those wont work, they are just suggestions. it really bugs me that it’s not on here! TAIWAN seems ok to me. Also this is what Skype is showing for (flag:TW).